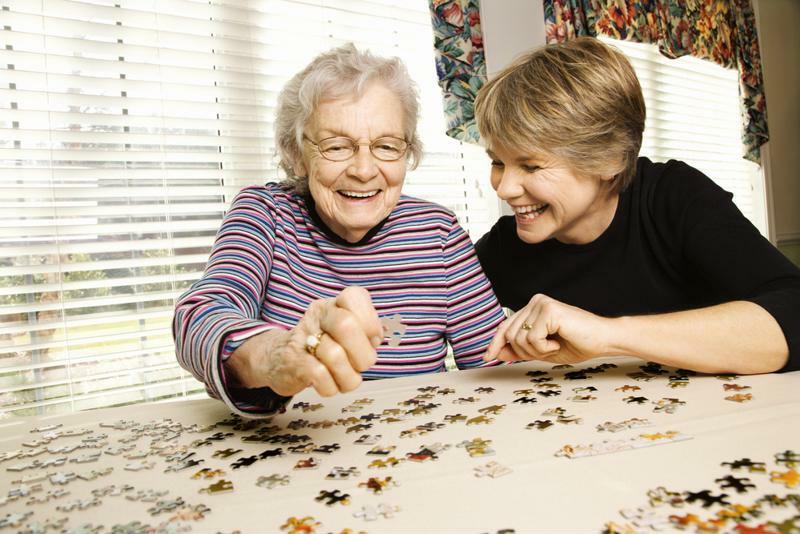 Seniors with Alzheimer's can lead a happy life with certain safety precautions in place. Install a hidden gas valve or circuit breaker on the stove so family members with dementia cannot turn it on. Introduce appliances that have an auto shut-off feature. Monitor seniors close to water sources such as sinks. Implement grab bars in the shower, tub and edge of vanities. Utilize textured stickers on slippery surfaces. Apply adhesives to keep floor coverings in place. Remove all rugs and carpeting completely. A household where seniors have to go up and down the stairs is already precarious but can be even more so for seniors with Alzheimer's. Families should consider moving loved ones with dementia to the first floor to avoid having to change levels. If steps are unavoidable, it's important to make sure they're safe. The Mayo Clinic suggested marking the edges of steps with bright tape, adding a safety bar to each side of the stairwell, installing lights at either end and add texture to avoid falls. With a few changes, steps can be that much less threatening to seniors. "Medications should be out of reach from loved ones with dementia." It's common to keep prescription and over-the-counter drugs in a bathroom or kitchen cabinet, but these places may not be protected enough for seniors with Alzheimer's. Instead, families should keep all medications locked away so they are out of reach of seniors. Furthermore, each bottle should be clearly labeled with the patient's name, drug type, strength and dosage frequency of the medication and expiration date, according to the National Institute on Aging. If multiple family members are in charge of dispensing these drugs, a schedule may be a good idea to ensure duplicate doses aren't given to seniors. Families enjoy keeping their loved ones close and forming memories in their senior days. If older adults with Alzheimer's experience too many issues at home – and the setting is threatening to their safety – it may be time for adults to consider memory care assisted living community for their parents or grandparents. These communities are well-equipped to provide a safe environment for people with dementia, and family members are always able to visit. This way, the children and grandchildren of seniors with Alzheimer's can rest assured that their loved ones are taken care of by professionals with experience in the condition. It can be extremely difficult to watch a family member go through the changes associated with Alzheimer's disease. Luckily, you don't have to go it alone. Senior living communities offer older adults with dementia multiple housing options based on the severity of their condition. These communities provide well-balanced meals, mind-engaging activities and a strong sense of community. Loved ones with dementia can live happy and healthy lives in these centers, and family members can have peace of mind that seniors are safe and secure. NextShould your loved one try adult day services?